How was Agile Coach Camp 2018? 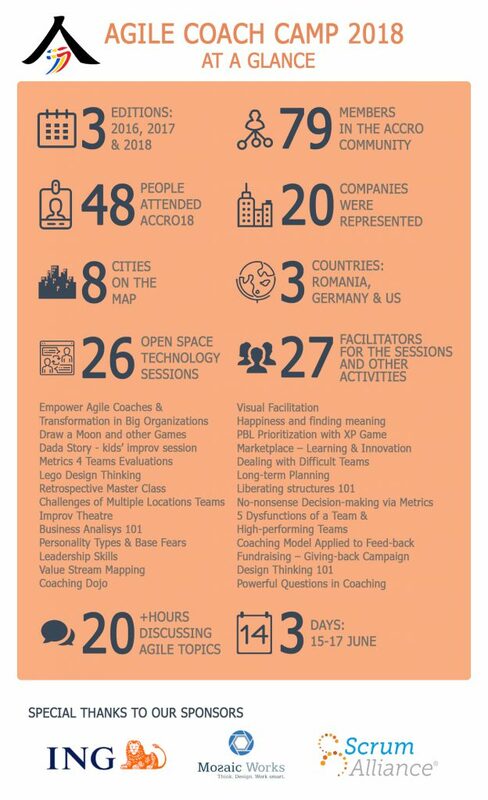 This infographic is a brief overview of our great experience at Agile Coach Camp 2018. Our community is expanding, we are creating history together – we’re already at the 3rd edition and, most importantly, we attended many helpful sessions. Thanks again to our sponsors and to all the participants that helped make all this happen, see you in 2019!